Farmer describes how the industry has changed from the heady days of the 15% commission system of the 60s and 70s to fees managed by procurement executives who too often consider agencies high-cost suppliers and question advertising’s value-add. Competing pressures of remuneration, globalization, new ownership, shareholder value, and digital and social media, according to Farmer, have brought about a decline to agency life. Now, I’m a radical optimist. I look at the work coming out of the Cannes International Festival of Creativity, I see new technology emerging from Silicon Valley, I experience daily how social media has made direct marketing a true reality, and I think there’s never been a better time to be in the creativity business. 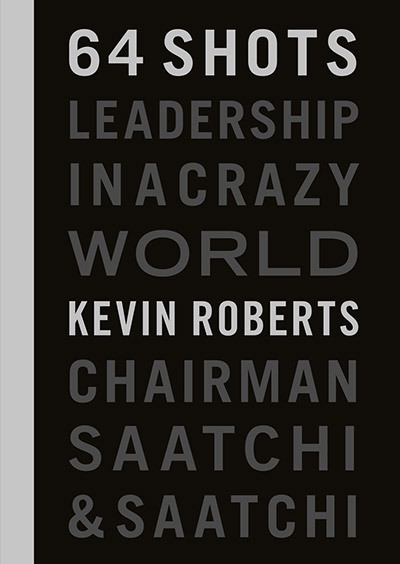 We live in a VUCA world—one that is Volatile, Uncertain, Complex, and Ambiguous—and a VUCA world needs leaders who are radical optimists. I once asked a group of 20-something students at the S.I. Newhouse School of Public Communications at Syracuse University what they thought VUCA means? Their response was Vibrant, Unreal, Crazy, Astounding. Welcome to the SUPERVUCA world! And that’s the kind of energy and vitality I expect to see in our profession. His book pulls no punches, and the 10-step transformation program Farmer suggests agencies adopt to bring renewed strategic vigor and relevance to their organizations is a clear-headed one. If I differ with Farmer in tone, I agree with his larger point that the industry is experiencing seismic change and now is the moment to embrace wholesale transformation. 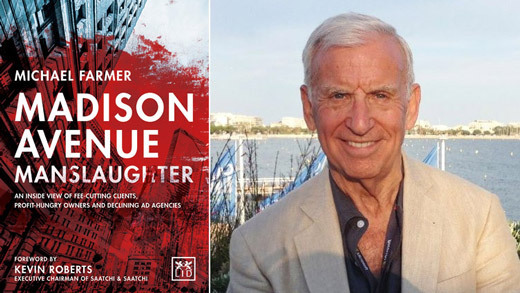 Madison Avenue Manslaughter is a smart, tough, and valuable book. 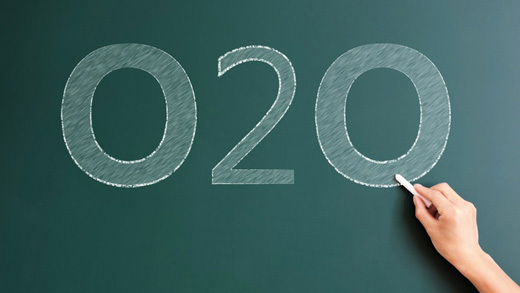 ‘Online-To-Offline’ (O2O) refers to a growing trend in e-commerce that sees customers from online channels being connected with physical spaces. This is counter to the fears that traditional retailers have been harboring about their lack of relevance in a digital market. Nowadays, companies can successfully leverage an online and offline presence if they treat the two channels as complementary rather than competition. 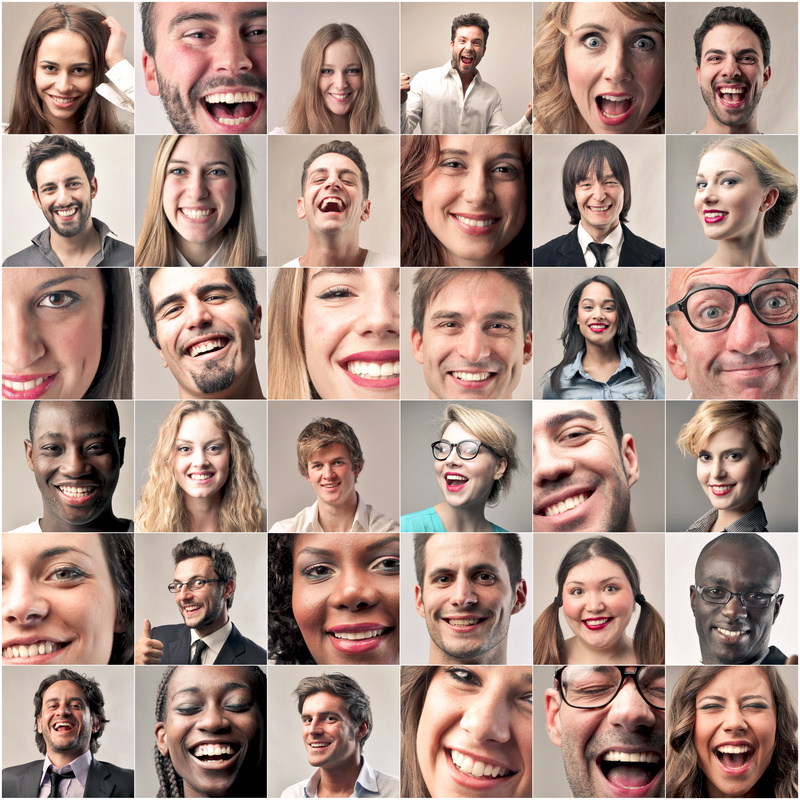 It works because ultimately, people want to connect in real life – chat rooms or e-commerce platforms simply don’t cut it when it comes to experiences. People expect more. They want an experience they can’t get when they’re sitting in front of the computer, at home in their pyjamas. So why not join the dots? But it’s not just about being surrounded by like-minded people. These days, private clubs like SoHo House offer socializing, networking and office space. Work spaces are precisely that, but “their real product isn’t so much an office as it is interconnection, a sense of belonging.” In a physical sense, Kyle Chayka notes in the Pacific Standard that these spaces are “a kind of real-life Facebook, where all your friends hang out, but with pools and free cocktail hours.” Camaraderie is important, and will continue to be important, in physical spaces and on digital channels alike. Four billion TV watchers can’t be wrong. 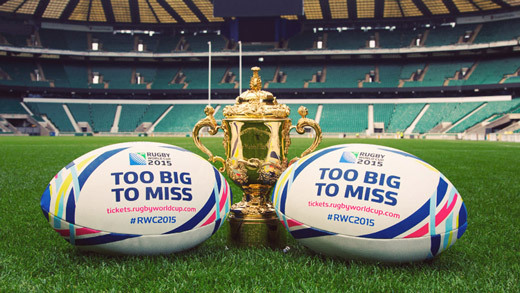 I’m in the UK right now attending the Rugby World Cup, the third most-watched televised sporting event on earth, behind only the FIFA World Cup and the Olympics, with international potential viewership estimated by host broadcaster ITV to be nearly 60% of the global population. It’s a phenomenon that demonstrates the commercial, cultural, and societal reach that only TV can offer. 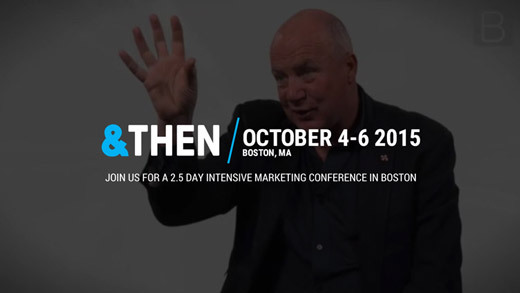 Broadcast events like this, with their multi-layered sponsorship and social media extensions, are the kind of grand canvas that brands seek to wrap their marketing messages around. Sport now accounts for nearly 40% of U.S. broadcast TV ad spending ($8.47 billion in ad sales for the big four networks.) While some say it’s sports viewership that’s been driving this infinitely resilient medium, there’s no denying that ours is also TV’s Golden Age of storytelling (witness Sunday’s Emmy nominations list). Recent landmark shows — my favorites being: Justified, Blacklist, Breaking Bad, Homeland, Game of Thrones, House of Cards — would make Dickens blush and put Hollywood movies to shame. Meanwhile, televised news is white hot! The first Republican presidential debate in August made history for Fox News as the most-watched live broadcast in cable news history. The second Trump & Co. show last week scored nearly as well with an average of 22.9 million viewers, shattering CNN’s previous ratings records. And TV continues to lead US market share of advertising in 2015, with nearly 42% total spend, followed by internet with 28%, and newspaper ads with 15%. The premise of Michael Wolff’s latest state-of-the-media manifesto, Television Is the New Television: The Unexpected Triumph of Old Media in the Digital Age (Portfolio/Penguin), is one that has profound implications for both content creators and the advertising industry. Wolff’s contrarian conclusion — that “the Web, social media, and various mobile platforms are not the new television. Television is the new television” — is something I’ve been espousing for years. A decade ago I published Sisomo: The Future on Screen— a book about the glorious future of television in the screen age. “Si-so-mo” stands for sight, sound, motion. That’s still what we look for from our content. It’s my deeply-held belief that people need stories — whether they take the form of long-form narratives, news debates, or sporting events. Since the beginning of history, making sense of experience through narrative has been as instinctual a human need as seeking food, clothing, and shelter. Every year, telly is diagnosed as having a terminal disease. 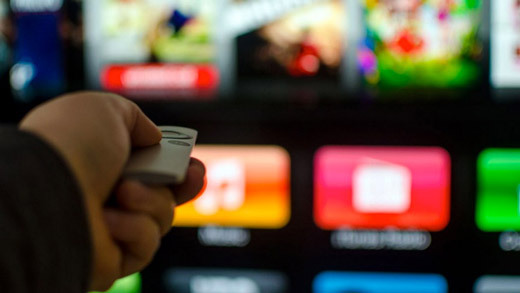 It doesn’t matter whether the thing that’s come to kill the business takes the form of cable TV, video on demand, social media platforms, or the latest streaming device. Great content is the business model. People will always be drawn to compelling stories. If you’ve got a great story to tell in a compelling way, you’ll have an audience—and revenue. And great content is not only addictive, it’s additive. Using the moderately performing broadcast show Elementary as a case study, the CBS chief went on to explain how the different ways networks get paid for programming have dramatically changed. “Overnight ratings are virtually useless now,” Moonves said. Once CBS adds C3 and C7 forms of Nielsen ratings [when TV ratings are measured three days and seven days after the show was first broadcast,] DVR ratings, SVOD [subscription video on demand,] cable, and international sales, the Sherlock Holmes series suddenly “becomes a remarkably successful show in our eyes.” Moonves’ point is that while TV still reigns supreme, it is no longer a stand-alone medium. Brands need fully integrated web, mobile and social programs to complement and even lead all television initiatives. Content is king, but Marshall McLuhan said it best: “the medium is the message.” TV is not merely a content delivery system: it is a way of watching, a shared experience, a memory-making machine, a third parent, the voices in the room, a piece of household furniture as well as familiar content on your mobile device. TV is YouTube programming and high-end period drama. It is part of the very fabric of our domestic lives. The big, bad [Michael] Wolff is right: Reports of television’s death have been greatly exaggerated. The TV antenna points one way — and it is up! 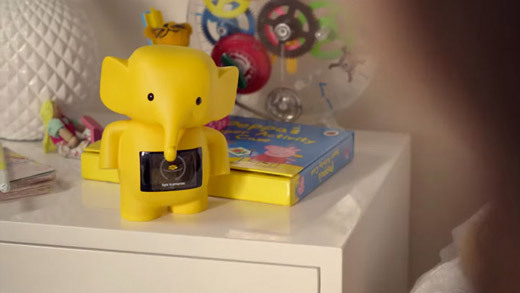 My first response upon seeing (New Zealand bank) ASB’s new generation moneybox ‘Clever Kash’ was delight. I love it. Brilliant idea, and so beautifully ‘Kiwi’ but at the same time global, as it responds to a universal trend: our increasingly cashless society. It takes an icon and a concept from the past and brings it into the modern world. Of course there’s a story behind it, which starts way, way back, back in the days when we used to collect and keep our pocket money in piggybanks and moneyboxes for safe-keeping. As children we’d shake our moneyboxes to hear the jingle-jangle of our weekly chore efforts, and the gaining weight of our moneyboxes told us our savings were growing. The excitement! The suspense! The arguments with siblings over who had the most! In hindsight, I can’t help but see these various money-saving rituals through rose-tinted glasses. It seemed like magic. Chores became money and money became something special. It might have seemed like magic, but ultimately, it made me understand the value of money. But things have changed. Money has evolved to the point where we don’t even equate it with tangible things like coins or dollar notes. Most of us are quite content with seeing our financial status and transactions simply displayed on a screen. Most of us still understand the value of money because it’s been a gradual transition. But our children, and our children’s children, may not. The kind of magic they see involves money that pops up on a phone, or that comes from a piece of plastic. Ta-da! Cha-ching! So, Saatchi & Saatchi NZ, ASB's Technology & Innovation Labs, Assembly, Kamahi Electronics and 4Designset to work; on rebooting the moneybox for the 21st century. They took the ASB moneybox from the 1960s, Kashin the elephant, and gave it a digital makeover. 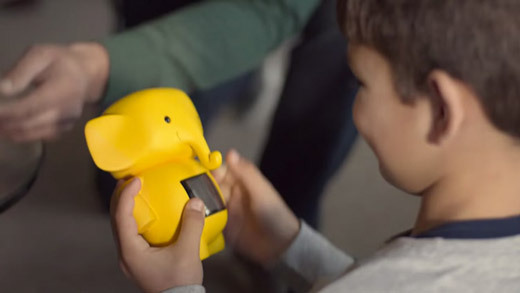 One that recreates that magic of moneyboxes of generations past, a little yellow elephant that can be physically held in two hands, with sounds and animations that bring it to life. Clever Kash. Clever Kash interacts with ASB’s banking app, so that parents can sit down with their children and ‘swipe’ coins from the app to Clever Kash, which displays an account balance on its tummy. It’s still in its prototype phase, but I can’t wait to see what Kiwi kids think of Clever Kash, and whether this brilliant idea permeates globally. It’s already rocketed to #4 on Creativity’s hot list, a portent of things to come. Those talents include: “the ability to focus for long periods, a propensity for balanced and critical thinking, a knack for quietly empowering others,” all of which might make them better equipped for entrepreneurial and business success than extroverts. Among the world-conquering entrepreneurs and CEOs who self-identify as introverts or are largely viewed that way in the public imagination are: Microsoft co-founder Bill Gates, Apple co-founder Steve Wozniak, Google co-founder Larry Page, Facebook co-founder Mark Zuckerberg, Yahoo president and CEO Marissa Mayer, and chairman and CDEO of Berkshire Hathaway Warren Buffet. 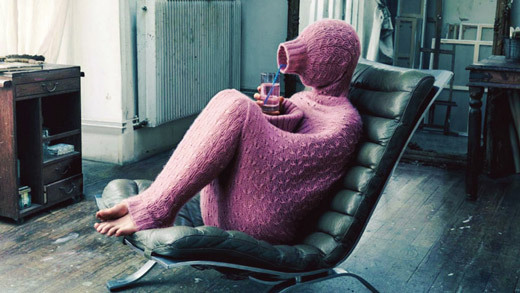 WSJ reporter Elizabeth Bernstein debunks several myths about introverts. They are not necessarily shy or antisocial. Introverts, whom experts say comprise about a third of the population, simply draw most of their energy and process information internally. There are “social introverts” who gravitate toward others but still need a higher ratio of solitude to social time. 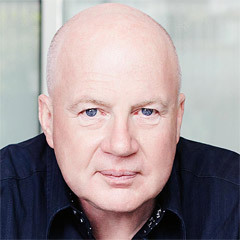 According to Beth Buelow, a speaker and coach who is founder of The Introvert Entrepreneur, a website for introverts: “The best businesspeople aren’t necessarily the best talkers, but the best listeners, the people who ask the right questions.” Rather than processing information quickly and spitting out opinions, Buelow says “introverts take it in, process it and turn it around. They can sit with those dots long enough to see where the connection is.” And introverts tend to rely on their own inner compass, rather than external signals, to know they’re making the right decision or doing a good job. I’ve worked in business long enough to know that it is a vast enough arena to accommodate all kinds of personalities. There’s no one-size-fits-all personality for creative leadership, and I couldn’t agree with the premise of the article more—that introvert traits should be recognized and valued in the business world. Just think of Marlon Brando in The Godfather. Don Corleone may have spoken in a whisper, but you hung on his every word. 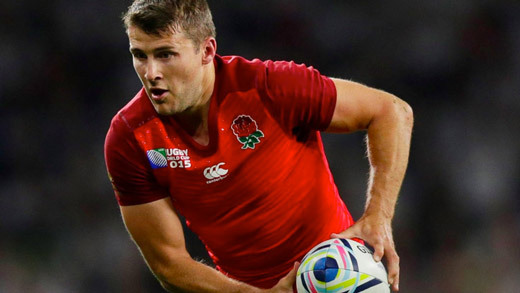 A blast of honesty from one of the best coaches in the world – England’s Rugby World Cup Finalist head coach 2007, and Attack Coach of the 2003 Winners – Brian Ashton – after the All Blacks vs Pumas on Sunday in front of a World Record crowd of 89,000 fans. The infamous ‘Marshmallow Test’ taught us about willpower and balancing short-term versus long-term pay offs. 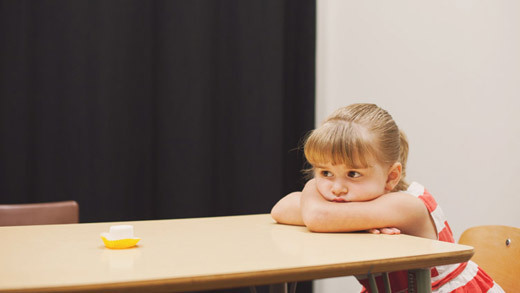 The test, which was conducted by psychologist Walter Mischel in the 1960-70s, involved giving nursery school children the choice between one edible reward which they could devour immediately, or a larger reward they would have to wait for, alone, for up to 20 minutes. 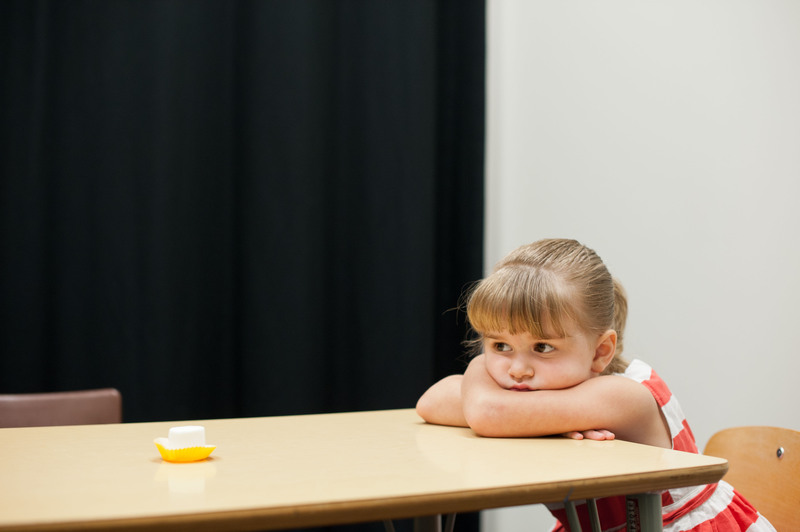 The main finding from this study was that children who displayed willpower and held out for the larger reward generally fared better in life with higher SAT scores and a lower BMI 30 years later. While some criticized the study and its conclusions, its findings do seem to be relevant to other aspects of life; business being one of them. What I mean by that is that making business decisions that balance not only the short-term whizz-bang gains, with the long-term even-bigger-bang-if-you’re-patient gains. It is evident in recent R&D spending figures that an increasing number of corporates are looking to the future and working towards long-term goals. An article on The New Yorker notes that this year, “R. & D. spending is accelerating at its fastest pace in fifty years and is at an all-time high as a percentage of G.D.P.” Similarly, the Global Innovation 1000, a list of public companies that spend the most on innovation by Strategy&, found that companies are spending more on R&D than ever before. Last year they invested a record $647 billion. This focus on long-term goals has also been found to be rewarded by the market, and companies that invest in R&D consider themselves to be better innovators today than they were a decade ago, with further future plans to raise their game in the innovation stakes. However, that’s not to say that it’s all about the amount invested. As highlighted by the Strategy& report, companies seem to be doing more with less, with those that have made real progress in leveraging their R&D investments citing tighter alignment of their innovation and business strategies, and by gaining a better understanding of customer needs. As (well) put by Steve Jobs: “Innovation has nothing to do with how many R&D dollars you have… It’s not about money. It’s about the people you have, how you’re led, and how much you get it.” It’s also about keeping future goals in sight without being overly distracted by short-term risks or opportunities. In the corporate world, being in it for the long haul certainly has bigger rewards than just a few marshmallows. From the “weird things people write about” department. A recent article in The New York Times’ automobiles/business section came as a powerful reminder that innovation isn’t always synonymous with high-tech. 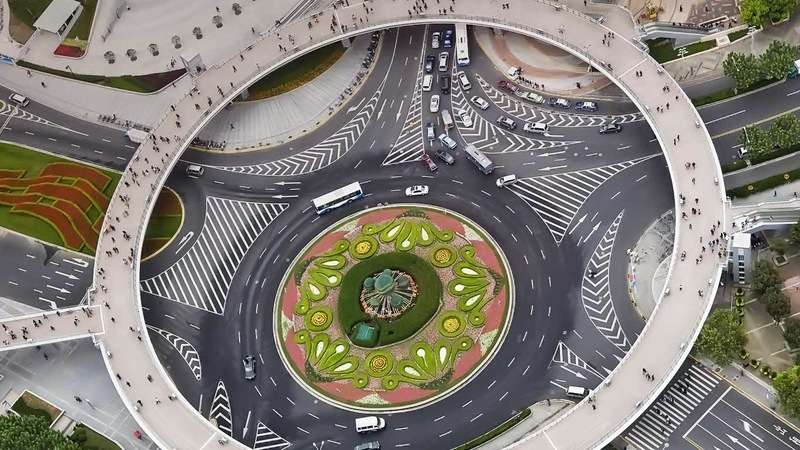 The story by Erica A. Taub is all about the rise of the roundabout—those circular intersections where traffic flows nearly continuously in one direction around a central island. Long popular in European countries like France and Britain, the roundabout is a favorite of traffic engineers because it cuts congestion and commuting time, reduces automotive accidents, and helps curbs road rage. An insurance group expert is quoted in the article saying that the reduction in injuries and fatalities the industry sees as a result of stop signs being replaced by roundabouts is “unmatched by anything else we can do in traffic engineering.” (I wrote earlier this year nearly 1.3 million road fatalities worldwide each year, on average 3,287 deaths a day, and 20-50 million injured or disabled). The Times article explains how roundabouts differ from traffic circles, where vehicles have the right of way based on traffic lights. “Roundabouts typically do not have traffic lights,” Taub writes. “Instead, a vehicle approaching one slows to around 20 miles an hour and yields to those already in the circle.” While some local communities complain that roundabouts are difficult to understand, tricky to drive through, take up too much space, or are just plain ugly, their widespread adoption strikes me as only a good thing for U.S. drivers and the romance of the American road. Circular junctions coming to New York City is also a testament to how automotive innovation can come in all shapes and sizes in America. Imagine—we have Tesla on one hand, and the rise of the humble, hundred-year-old roundabout on the other! 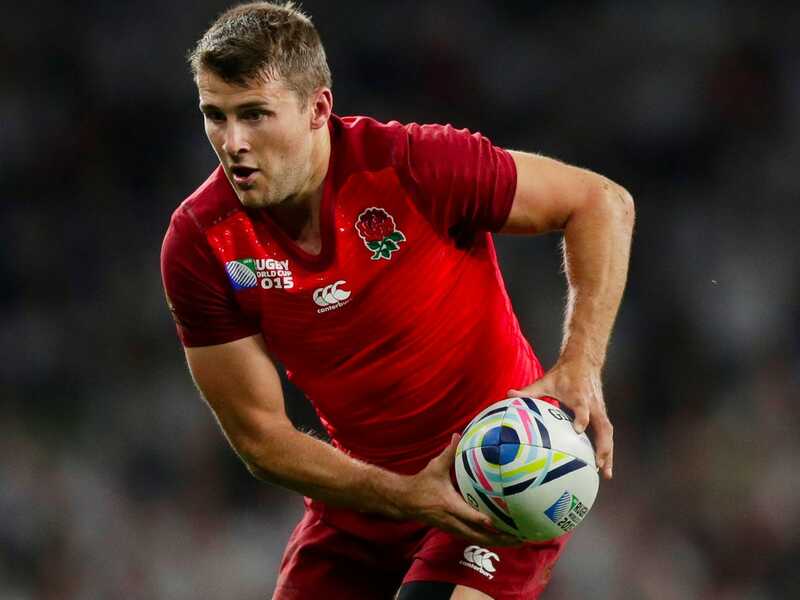 Off to Twickenham on Friday to see England take on the South Seas’ magical Fiji to open RWC 2015. . . Then to football’s iconic Wembley Stadium on Sunday for a titanic All Blacks v Pumas Southern Hemisphere clash. 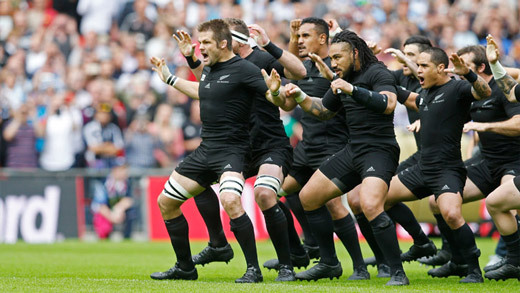 Time for the rhetoric to stop, and the players to perform… All Blacks!! Right from when we say our first words, there is an enormous importance placed on the words we use. We’re congratulated for saying some words, but not others. We’re taught how to use the ‘right’ words, how to use different words for different things, and are schooled in various nuances. Those subtle nuances are something that has stuck with me throughout life, perhaps because while the nuance itself may be subtle, the result is often not. One particular example is how people seem to like using the word ‘awesome’ when really, what they’re describing is simply just good or okay, and therefore ‘good’ (or ‘okay’) will do. Awesome means awe-inspiring or something that is extremely good or excellent. Think about it. An article on The Atlantic uncovered another one of these language habits that’s becoming more common, which is to use the word ‘so’ at the end of a sentence. The technical term for it is a ‘dangling so’ or a ‘trailing so’, both carrying the obvious connotation that the sentence to which it is attached is left hanging. Leaving things unspoken, listening instead of talking, and finding the right words when talking, are especially important to the way leaders communicate. Particularly in large organizations, what leaders say, and the words they use, carries significance. It’s because people look to leaders for clarity, perhaps around a problem, or a future goal. They also look to leaders for inspiration. 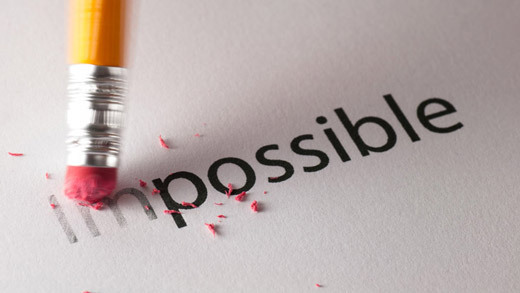 Choosing the right words matters because it could mean the difference between motivating people or not. Words also have the power to create emotions – using the right one matters. When it comes to our eating habits, we’re more predictable than we think. 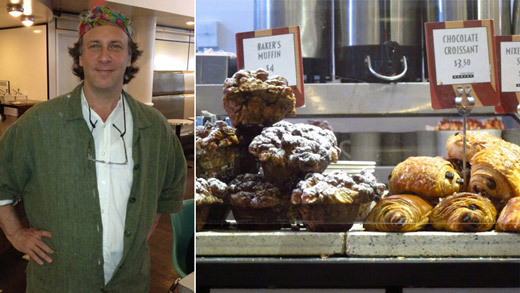 It’s a good thing too, if you ask Maury Rubin, founder of the City Bakery in Manhattan. Maury makes careful adjustments to both the scope and scale of his business in light of what he’s learnt about his customers’ eating habits, and he shares this in a recent article on The Economist. Late-afternoon-coffee-drinking New Yorkers can be enticed by pretty fruit trio pastries. His attention to data and detail, and the strategies he has taken in response, have helped his business survive and grow. While the relationship between price and demand might be the most reliable, other determinants such as needs, preferences and habits certainly make the equation seem a lot more human…particularly when there are croissants involved! We might like to think we’re unpredictable, but people have a way of leaving clues about themselves. If you watch closely you may find a gem or two that could make a huge difference to the way you do business. Being personable, being part of a team and being able to build relationships are traits that are increasingly coveted in the workplace. David Deming, associate professor of economics at Harvard University and author of the paper ‘The Growing Importance of Social Skills in the Labor Market’ argues the case in a compelling article on FiveThirtyEight. It’s not that technical skills and cognitive ability aren’t important; it’s just that people skills are now seen as even more desirable for those who want to get ahead. 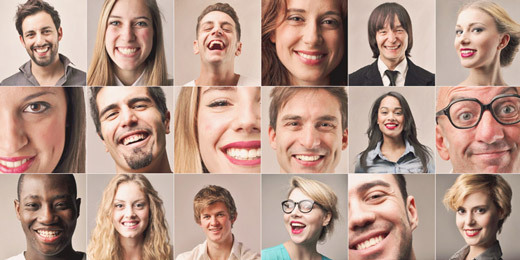 “Social skills increasingly are a complement to cognitive skills,” says Deming. Within 20 years, nearly half of US jobs will be vulnerable to automation. We’re already seeing the signs of technology creep, with employees being replaced by computers in banks, airports, and supermarkets. It seemed to happen overnight, and it’s just the beginning. But one thing computers aren’t good at, notes Deming, is simulating human interaction. So in some ways, we still have the upper hand. ‘Routine’ jobs, such as manufacturing work, have declined sharply in the US over the past few decades. In 1970, more than one quarter of US employees worked in the manufacturing sector, but by 2010 only one in ten did. This decline is happening around the world. We’ve also seen an increase in service sector jobs (eg fast-food workers), as well as non-routine analytical jobs (eg computer programmers). There’s been a slowdown in high-wage, technical jobs, while jobs that require both cognitive and interpersonal skills (eg doctors and lawyers), have grown. What this all adds up to is that employment growth is focused around jobs that require not only cognitive skills, but interpersonal skills. 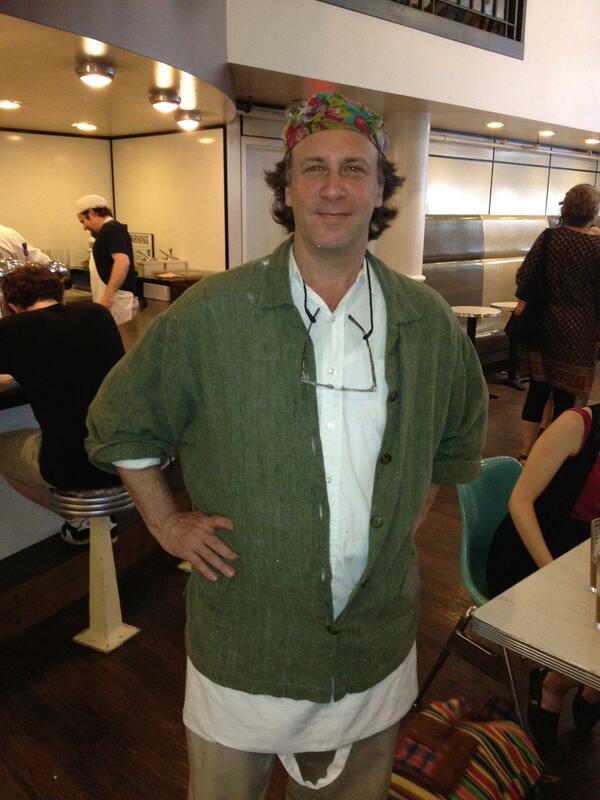 The take-out for us is that the workforce is changing, whether we like it or not. We often hear terms such as ‘communicating, listening, cooperating, negotiating, problem-solving, and resolving conflict’ bandied-around in the workplace. But it’s not just knowing what these skills are, but demonstrating them, consistently and effectively. After all, while most of us work with computers, we don’t actually want to work with computers. We want to work with people who we can have a laugh with, who we can solve problems with, who we can rely on to get stuck in when we’re on deadline, or with whom we can have an impassioned discussion. Working with computers might make things more efficient and effective, but it’s the people who make work fun. The first Republican presidential debate, which made history for Fox News as the most-watched live broadcast in cable news history, is a harbinger for broadcast trends. Some 24 million Americans tuned in to Trump & Co., but those who attempted to watch the debate online were frustrated. Though Fox News hosted the August 6 event in partnership with Facebook, the network made it virtually impossible to watch the event online. Fox paid for its failure to cater to the “cord-cutters” over social media, with millennials taking to their Twitter feeds to criticize Fox and swap links to illicit livestreams. A recent Financial Times article described how the dynamics of TV watching is shifting away from satellite in favor of cable and broadband. While the “disconnect” between the debate’s stellar ratings and the experience of media-savvy viewers appeared to support the idea that cord-cutting has yet to make a dent in America’s love affair with television, the numbers tell a different story. The pay-TV industry recently suffered its worst quarter on record for net customer losses—with more than a half-million people severing the cord in Q2. The FT’s David Crow and Shannon Bond suggest that the pay-TV industry needs to adapt, bloody quick. In the current model, a customer pays a certain amount each month to subscribe, with about half that going to broadcasters for content and the other half going to the pay-TV company that transports the content. In our brave new Amazon-Netflix world, Comcast, Verizon, and other providers need to figure out new ways to get paid. Some analysts predict a win-win for cable in the long term. As customers ditch pay-TV subscriptions and flock to Netflix, HBO Now, and other online services, they’ll still need high-speed Internet connections. A PwC study found that more than half of 8-18-year-olds said streaming TV was their favorite media content—ahead of cable and network TV, games, and videos. Accelerating changes in media consumption habits, especially among younger viewers accustomed to watching programs on-demand on their devices, often without advertising—leads one to ask: just what can we consider TV these days? It’s a question that satellite, cable, broadband companies—and advertisers—will be grappling with in the years ahead. One thing is certain: everyone is watching, and content remains king. 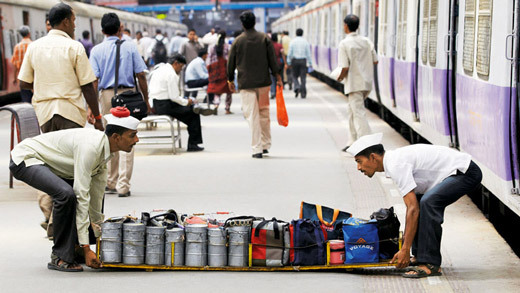 Big business has a lot to learn from Mumbai’s dabbawalas, lunchbox carriers who keep the office workers of India’s “Maximum City” well-fed every day with home-cooked lunches. An article in the August 1, 2015, edition of FT Weekend by Asia editor Davil Pilling and Indonesia correspondent Avantika Chilkoti details how an army of these 5,000 meal deliverers—named about the “dabbas,” or metal tiffin boxes—have been a part of the fabric of the frenzied Indian metropolis for over a century. Today the dabbawalas make 260,000 transactions daily, delivering 130,000 boxes to offices every morning and returning home every afternoon, six days a week, 51 weeks a year. That’s a staggering near-80 million annual deliveries. “My brother did it, that’s why I did it,” Dashrat Kedari told the FT about his induction into the profession at the age of 16. “This job makes me feel good. Feeding people is a worthwhile occupation.” Organized in a co-operative, the dabbawalas enjoy decent pay, job security, and command respect in this toughest of Indian cities. What’s most impressive and inspirational is the operation’s near-flawless efficiency. Customers almost universally praise the service and the dabbawalas’ have been feted by royals like Prince Charles, greeted by titans of industry lie Richard Branson, studied by worldwide delivery and logistics operations like FedEx, written about by academic business journals like The Harvard Business Review. To these eyes, the dabbawalas look like a model in how to unleash employee engagement. What are the ingredients in the lunch pail? Responsibility, learning, recognition, and joy. Mark Twain’s wit and wisdom are still very much with us more than one hundred years after his passing in 1910 (perfectly timed with Halley’s Comet, which also happened to coincide with his birth in 1835). 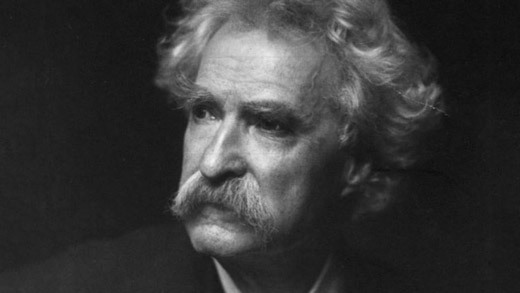 A man who wore many hats, Twain was considered the greatest American humorists of his age. Sometimes referred to as ‘Twainisms’, Twain’s musings and aphorisms will be familiar to many. Some of these quotes have also been misattributed to him, including this one: “Forgiveness is the fragrance that the violet sheds on the heel that has crushed it.” It couldn’t be further from Twain, who was known for his sharp wit (as an example, he once said that “the problem with the world isn't that there are too many fools, it's that lightning isn't distributed properly”). The Obituaries page of The New York Times is a rich source of inspiration for the stories of people who have made a difference. Last Thursday’s page recorded the life of John Henry Holland who died age 86 in Ann Arbor, Michigan, where he spent his entire career at the University of Michigan where he was a professor of electrical engineering and computer science, and a professor of psychology. In the mid-1980s he be became a core participant in the Santa Fe Institute which had been created by senior scientists at the Los Alamos National Laboratory for the interdisciplinary study of complex systems which, according to The Times, quickly became a clearing house for the most advanced ideas in the field. Holland’s work was seminal in the field of genetic algorithms, or computer codes that mimic sexually reproducing organisms which proved crucial in the study of complex adaptive systems, a field he helped create. We spend around one third of our lives sleeping. Among other things, sleep gives us a chance to have dreams, apparently around four of them each night. We forget most of them upon waking. Through dreams, our brains process all the information, memories and unconscious cues we pick up during the day. Sometimes they get interpreted into weird narratives that make no sense to our conscious minds, but link up perfectly in our grey matter. 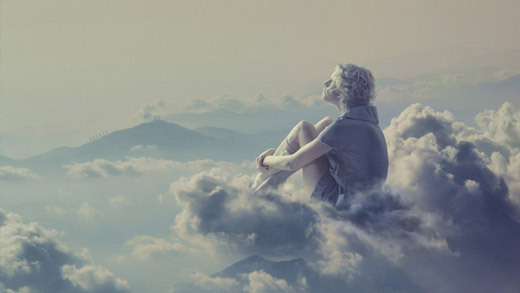 If you think dreams are mysterious, here are a few facts that will add more depth to their mystery. Dreams inspire and evoke creativity. Apparently Paul McCartney woke up with the tune for The Beatles’ ‘Yesterday’ in his head, and John Lennon wrote his song ‘#9 Dream’ based on a dream he had. Eating different types of cheese before bedtime can influence dreams in different ways. A 2005 study found that cheddar triggered dreams about celebrities and blue cheese triggered dreams that were bizarre. People who watched black and white television in their childhood are more likely to dream in monochrome, according to a study. When we’re experiencing a lucid dream (which means we’re aware that we’re dreaming), we’re sometimes able to participate in the dream or possibly even manipulate an experience in our dream environment. Online gamers who have developed skills in controlling an avatar on-screen could find that these skills translate well in the context of dreams. People can’t snore and dream at the same time. Evidence indicates that dogs, cats, rats, birds and other animals dream too. A recent study found that rats dream about their desired future, such as how they might go about finding a tasty treat. Zebra finches (a type of bird) aren’t born with song melodies hard-wired into their brains; they learn them and practice them in their sleep, as evidenced by brain activity.